Can We Improve Monsoon Forecasts? During summer, land and ocean surfaces absorb solar heat, which warms the atmosphere above them. Hot air expands and rises above the continent. 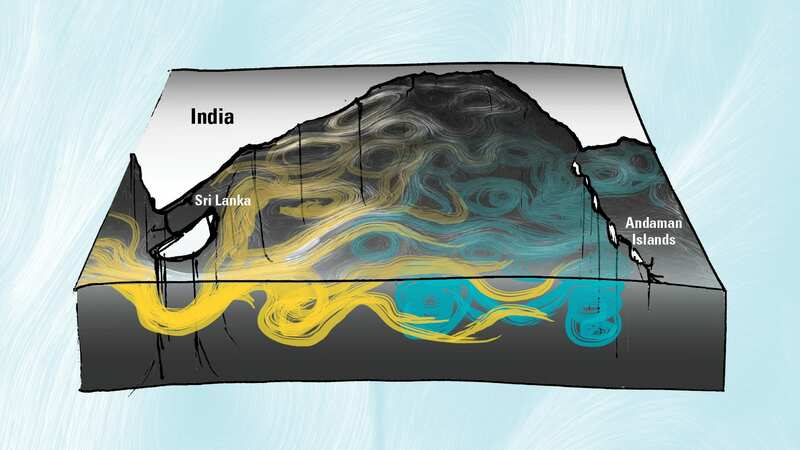 With the Himalayan Mountains blocking air from the north, moisture-laden air over the Indian Ocean rushes in to fill the low pressure created by the rising hot air. The winds north of the equator (white streaks) are deflected eastward by Earth’s rotation. These monsoon winds bring heavy rain over land. As the humid air rises, the moisture condenses into clouds that generate rain, releasing heat. As the rainfall dumps moisture, the extra heat punches clouds higher and further accelerates winds. The dried-out air levels off and heads back out to sea. It eventually cools and sinks toward the ocean to complete the cycle. The monsoon circulation transfers energy (red) from the hemisphere in summer to the cooler hemisphere in winter. It’s a hot summer day on the Indian subcontinent. Torpid winds are lingering over the dry northern plains. One billion people are looking skyward, counting on the wet monsoon season to bring rainfall. Yet the sky is clear blue. When will the vital rain clouds arrive? Even skilled meteorologists do not have a reliable answer. Which is why, a thousand miles to the south, a ship floats in the middle of the Bay of Bengal with 24 oceanographers on board. For millennia, farmers, especially small-scale ones, have anxiously anticipated the monsoon rains between June and September to irrigate their crops. Knowing the chances of drought and the timing of rainfall, instead of guessing when to plant and harvest, would offer a boon for yields and a bulwark against disaster. Monsoon rains also supply essential hydroelectric power. It’s not an overstatement to say that the economy and welfare of the entire subcontinent hinge on the monsoon. Yet the monsoon has remained stubbornly hard to predict. The rains are intimately tied to the rise of the monsoon winds. Both rains and winds are connected to water at the surface of the Indian Ocean. It is this crucial, but less understood, link in the monsoon system that oceanographers are exploring. Their research vessel, not coincidentally, is positioned offshore at the place where rivers, currents, and winds meet. 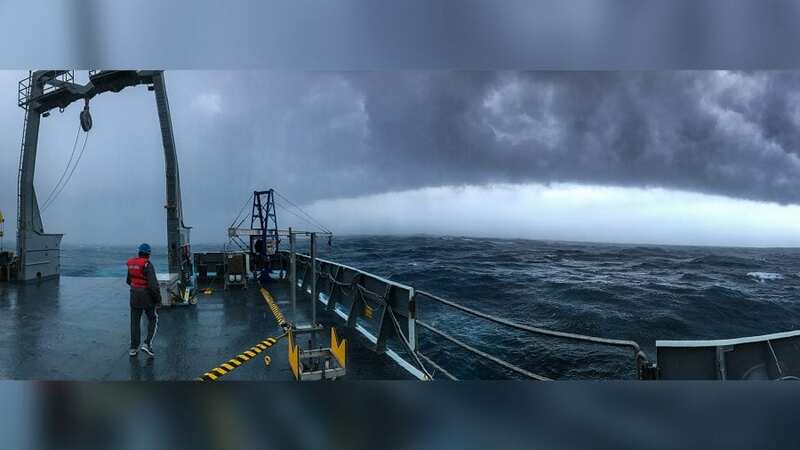 There, scientists are finding some curious clues about how the ocean behaves and how it interacts with the sweeping winds headed toward land. Soon these winds will converge into towering dark clouds over the dry Indian plains, at long last bringing cool relief and the promise of rain. For many of us, “monsoon” evokes images of warm downpours in tropical locations. But the phenomenon begins with winds. The term’s likely origin is the Arabic word mawsim, meaning “season.” Some of the region’s earliest traders sailing in the northern Indian Ocean recognized that the winds dependably switched direction twice a year, blowing from the northeast during winter and from the southwest during summer. 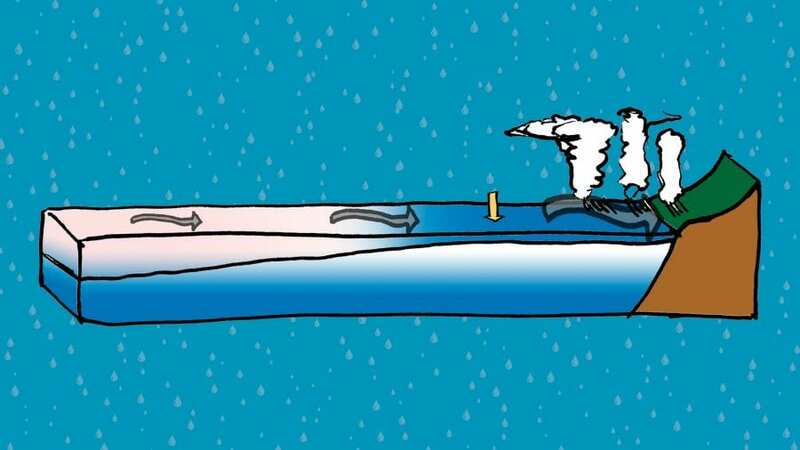 But the winds are only one component of the entire monsoon system—a mammoth heat engine in which temperature differences drive how the winds move. During summer, the surfaces of the land and ocean absorb heat from the sun, which warms the atmosphere above them. Hot air expands and rises above the continent. As it does, air from the surrounding Indian Ocean rushes in to replace it. Those are the monsoon winds, blowing in from the southwest across the ocean, carrying moisture-laden air and bringing heavy rain over land. 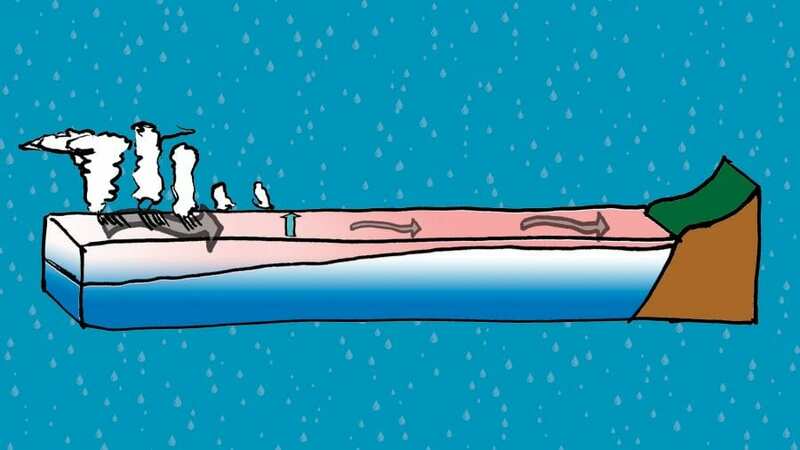 The rising air in rainstorms effectively transports heat from the ocean and land high up into the atmosphere. There, the air levels off, heads back out to sea, and gradually cools and sinks toward the ocean to complete the cycle. This loop also moves heat across the equator, from the Northern Hemisphere experiencing summer to southern latitudes experiencing winter. As the winds reduce the imbalance in temperature, they gain speed, converting thermal potential energy into kinetic energy. This cycle—critically—is supercharged by water from the ocean. Warm waters evaporate, creating water vapor that holds a lot of thermal potential energy. Dry air blowing over a warm sea gains that energy, along with moisture, as it heads to land. 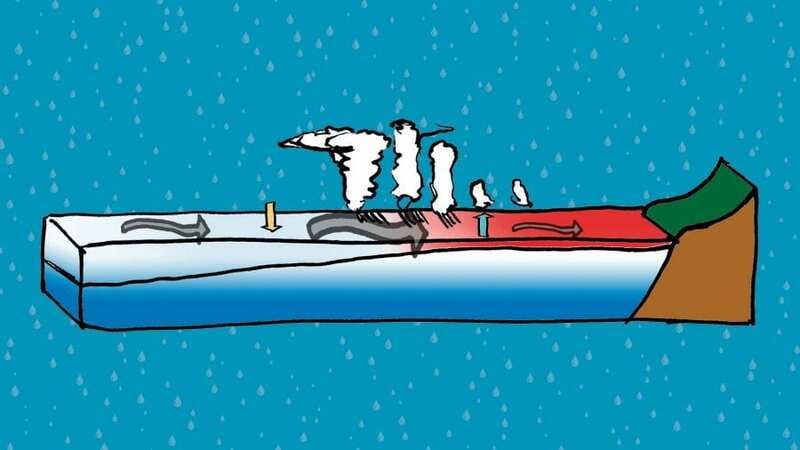 When the warm, moist air rises in tall clouds over land, the water vapor condenses back into liquid rain, and in the process releases its stored energy in the form of latent heat. That extra heating high in the atmosphere acts as a boost to the engine. It expands the air and reduces the density of the column, leading to a low surface pressure that draws in surface monsoon winds at a faster rate. It seems like clockwork, and on average, it works that way. Yet India and neighboring countries cannot rely on steady rains during this wet season. Instead the rain arrives in waves, each lasting from one to many weeks—stormy periods of heavy downpours, followed by calm periods without much rain. Forecasters can predict weather a few days in advance, but they cannot predict these extended periods of cloudy or blue skies, nor the total rainfall for a monsoon season. Could the region’s ocean be a missing piece that would improve medium-term monsoon forecasts? Meteorologists have sophisticated numerical models of the atmosphere that can simulate the general monsoon wind and rainfall cycle, but these simulations get better when they add in an ocean below the atmosphere. The interplay between ocean and atmosphere appears especially critical to properly simulate weather forecasters’ primary interest: the oscillations between stormy and calm periods. The problem is that it has been difficult to create a model for the Indian Ocean that satisfies two major requirements: It has to be both large, covering the Indian Ocean, and accurate, correctly predicting surface temperatures. Ocean circulation models divide the region into a grid of uniform boxes and pretend that ocean conditions are uniform within each box. Each box, tens of kilometers wide, is filled by whirls of currents stirring layers of water, trains of waves traveling across the surface, and small deep waves within the ocean that become unstable and break—all mixing and moving water of different temperatures up and down. To simulate these dynamics directly across the entire region, the size of the square boxes would have to be dramatically decreased, proportionally multiplying their total number. Instead, limited by computing resources, scientists have to estimate the average effect of the small dynamics on the larger boxes. The ocean models have an especially hard time accurately representing exactly what’s going on at the surface of the Bay of Bengal. The bay is where a gargantuan outflow of fresh water from the Ganges and Brahmaputra Rivers pours into the ocean and meets the monsoon winds. The confluence creates messy patterns of fresh and salty water in the bay. Oceanographers have long suspected that the changing conditions in the bay play a key role in the monsoons, so they organized an expedition to explore this potentially strategic location. It is summer, and the calm surface of the Bay of Bengal is quickly heating up under a tropical sun. Warm water is evaporating, releasing heat and humidity into the light wind. Oppressively moist air sweeps landward, past the research vessel Roger Revelle, which has been floating stationary for two days, seemingly idle. The atmosphere is sensitive to small temperature differences between the air and water. If the sea surface temperature were a little warmer, a lot more water would evaporate. The oceanographers want to know—and be able to predict—how quickly and how much the sea surface warms or cools. And that is what they are busy measuring. The researchers, engineers, students, and crew hail from institutions across the United States, India, and Sri Lanka. The mission is supported by the U.S. Office of Naval Research and the Indian Ministry of Earth Science. We are all interested in better understanding this vast region’s conditions on land and at sea and building relationships and oceanographic capabilities in a relatively unexplored region of the world’s ocean. 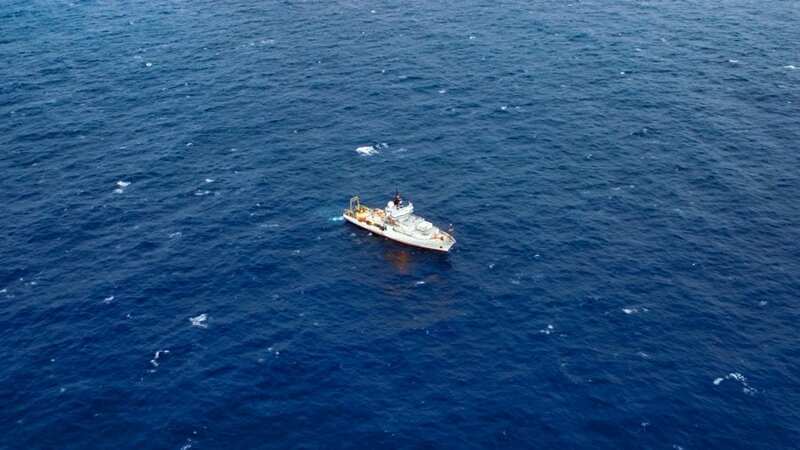 Given this rare opportunity of five weeks of ship time in the area, the oceanographers brought gadgets galore to observe and record the conditions under the sea surface, a place hidden from satellite instruments. The environment is harsh on sensitive instruments: Salt corrodes metal, algae and barnacles cover surfaces overnight, currents twist and pull, and fish or fishermen occasionally damage lines. The strategy was to deploy as many different types of tools as possible and extend observations beyond the immediate vicinity of the ship—from deep below to hundreds of kilometers away. We deployed drifting instruments that beam data back and a remotely controlled kayak that ventured away from the ship, took measurements, and returned with data. We collected a treasure trove of data containing clues on how the ocean behaves and interacts with the monsoon winds and rains. And our fieldwork revealed something surprising. Every year, the accumulated rains throughout the subcontinent—after streaming down mountains, trickling through wheat fields and rice paddies, and swelling the region’s rivers—flow into the sea. The runoff from the Ganges and Brahmaputra Rivers is fresh water, which is less dense than salty seawater. So it floats in a thin layer at the surface of the ocean, only partially mixing with salty water below it. What surprised us was that even many months after the rainwater spilled from river deltas into the open ocean, the fresh water continued to extend hundreds of kilometers offshore. It was contained in a thin layer, often barely 5 meters deep, distinctly fresher than the 3,000 meters of salty water below it. The thinness of this layer means that the ocean’s surface here responds rapidly to the atmosphere. Stormy gales and dark clouds cool it down quickly. Yet this fresher layer is so light compared with the denser saltier water beneath it that it keeps floating at the surface, resisting the push to mix and sink. As fast as it cools down, the thin layer is warmed again by sunshine. These rapid changes influence both the atmosphere’s moisture and wind, the key ingredients of rainfall during the summer monsoon. The thinness also explains some of the problems in ocean models. They cannot resolve the small scales of these fresh layers. Nor can they discern the dynamical currents that control how the fresh layer spreads while staying thin. Consequently, the models cannot accurately predict how ocean surface temperatures in the Bay of Bengal influence the monsoons. Cause or effect—or a bit of both? 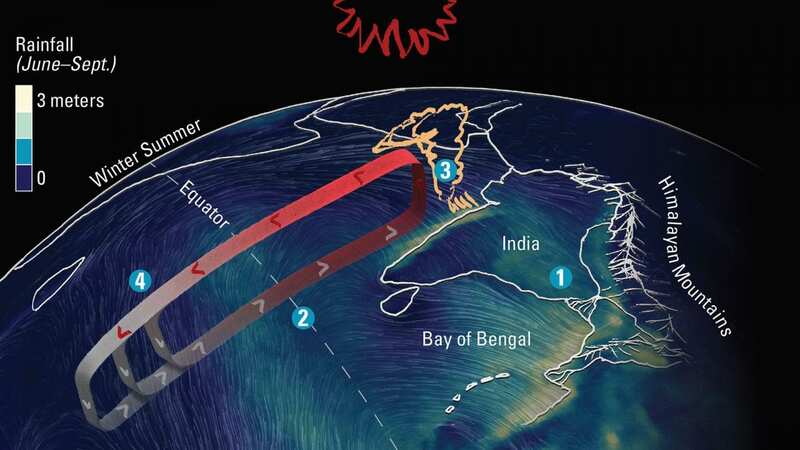 The oceanographers in the Bay of Bengal found a sea intimately connected to the winds and clouds of the summer season. Sunny days, which heat up the ocean surface and feed moisture to the air, precede abundant rainfall. Stormy days extract even more moisture, but they also cool surface waters, tempering the supply of energy from the ocean to the air, until the clouds rain out and sunny days return. So which drives which? Or is this relationship more nuanced, with both ocean and rainfall patterns modulated by each other? Our research has revealed how fresh water from rivers and rainfall controls the sea surface’s behavior. But does it also influence the monsoon? 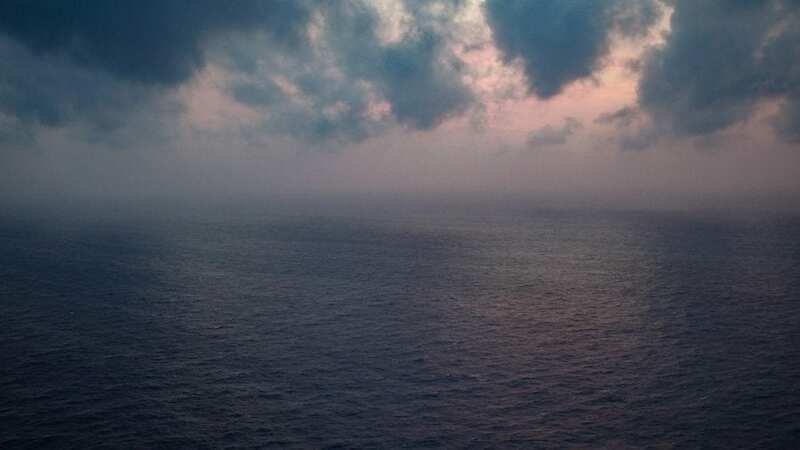 To investigate this puzzle, we headed again into the Bay of Bengal in the summer of 2018, this time joined on board our ship by atmospheric scientists, hoping for stormy days of monsoon winds and rain. This research was funded by the U.S. Office of Naval Research, The J. Seward Johnson Fund, and the Elizabeth W. Morss Education Fund. What’s cooking under the Bay of Bengal’s surface? Where did the ingredients for this soup come from, and what is stirring them? Two special flavors of water tell the story of an unusual composition within the bay. The bay’s hot, rain-fed surface creates a buoyant cap, under which lie heavier layers of water. These denser waters remain confined beneath the very fresh surface layer—insulated throughout the year from direct contact with the atmosphere, yet moved around by strong currents and eddies. Where does the water in these submerged layers come from? How does it behave and where does it go? We can get clues to those questions by measuring its temperature and salinity. Warmer or fresher seawater, like that atop the bay’s surface, is lighter and more buoyant. Colder or saltier seawater is slightly more compact and thus denser, and so it sinks beneath lighter water. In the Bay of Bengal, an unusual confluence of waters occurs. Within the subsurface layers of the bay, we find water originating from two different seas. From west comes water formed in the Arabian Sea, where hot winds cause excessive evaporation and make surface waters warm and very salty. From the east comes water formed in the Andaman Sea, where excess fresh water from river discharge gets mixed with deeper, colder water stirred up to surface, probably by strong tides moving over shallow seafloor topography. The key is that these water parcels have the same density because their combined characteristics compensate for each other: Warmer but saltier water (which oceanographers call “spicy”) can have the same density as colder but fresher water (called “minty”). These properties are set when the water is at the surface. 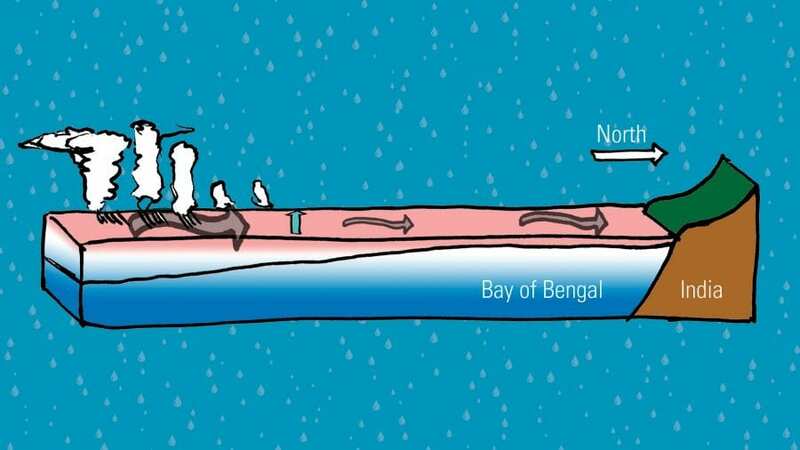 Once they sink beneath the lighter Bay of Bengal surface layer, they can be changed in the subsurface only by forces that would vigorously mix them. So oceanographers can use these “flavors” as a convenient marker to identify water types, much like two colored dyes. Measurements of their temperature and salinity quickly distinguish their origin. And then scientists can track spicy and minty waters to reveal how and where they move. When these spicy and minty waters meet in the Bay of Bengal, they swirl around each other at the same depths. Tongues of spicy Arabian water get pulled around Sri Lanka by coastal currents during the summer monsoon months, while spinning eddies travel westward, carrying minty Andaman water within their cores, and stir surrounding waters into thin filaments. These water flavors reveal dynamics controlling ocean currents that are usually hidden from view, offering insights into critical features of the ocean that are still only partially understood. Our recent expeditions in the Bay of Bengal have provided an unprecedented look below the surface, exemplifying many ancillary benefits of in situ exploration. Our primary mission was motivated by monsoon forecasting, but our fieldwork is helping to unravel many related mysteries. Circulation models divide the atmosphere and ocean into a grid of uniform boxes, usually tens of kilometers wide. The models simplify and approximate fluid dynamics occurring in the boxes. The ocean and atmosphere interface at the ocean surface. Their exchange is mediated by sea surface water temperatures (red = warmer, blue = colder), which affect heat transfer, evaporation, rainfall, and winds. 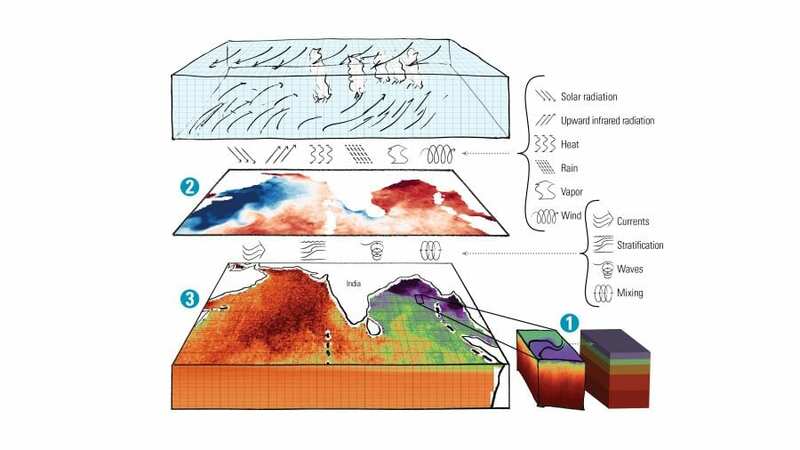 Sea surface temperatures, in turn, are affected by phenomena going on in the ocean model boxes, such as the layer of fresh (purple) water over saltier (orange) water. So atmospheric models are improved when they are coupled with ocean models.